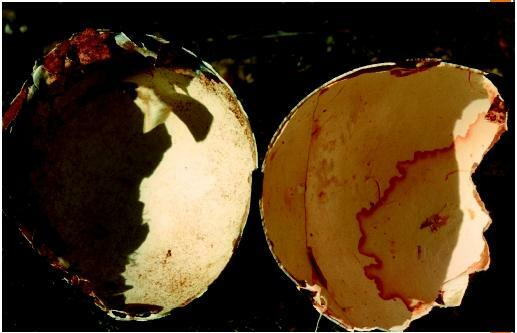 A comparison of a normal Peregrine falcon eggshell and one thinned by exposure to the pesticide DDT. spruce budworm and gypsy moth. However, its major impact lay in the control of mosquitoes that transmit malaria, as well as body lice and fleas; many millions of lives have been saved through these uses. SEE ALSO B IOACCUMULATION ; C ARSON , R ACHEL ; F EDERAL I NSECTICIDE , R ODENTICIDE AND F UNGICIDE A CT ; I NTEGRATED P EST M ANAGEMENT ; P ERSISTENT O RGANIC P OLLUTANTS (POPS) ; P ESTICIDES . "World Wildlife Federation DDT Report." Available from http://www.worldwildlife.org/toxics . Im doing a school science project, and was just wondering when this article was last updated. i need it for my bibliography to leave this website as a reference.